Flipboard, the award-winning news aggregator and “social magazine” for iOS has finally unwrapped its Android version. Catch your favorite news from well-known news sources like Engadget, The Verge, BBC, Cool Hunting and also from Instagram, Twitter and Facebook. Flipboard is beautifully designed, with its distinctive typography and smooth, intuitive interface for reading pleasure. This is the best app for news aggregation, bar none. Reading the news has never looked so good. 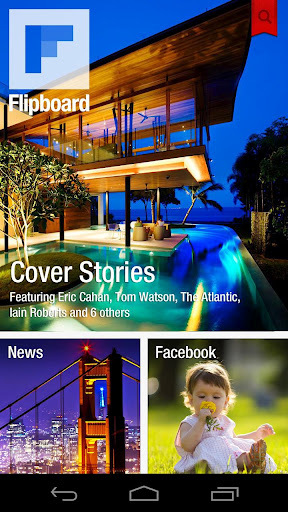 Flipboard for Android is available on the Google Play Store for free (2.6MB download). Supports Android v2.2 and up.